DoveSoft Computing has been established since 1995 and specialises in software development and training for all versions of MicroSoft Office, the excellent open source Open Office and it’s derivatives such as Libre Office, and Google Drive. We have provided proven services and products for clients such as South Staffs Primary Care Trust, South Staffordshire College, Network Rail, Forest of Mercia, Mid Staffs Primary Care Trust and Finning UK. We are also pleased to offer similar services to smaller businesses. We also offer impartial advice and consultancy, irrespective of your business requirement’s size or complexity. Our speciality is the computerised provision of financial services such as payroll, accounts, pensions and road transport. 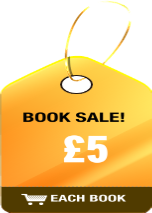 Many of our software products are “off the shelf” and offer significant cost savings. 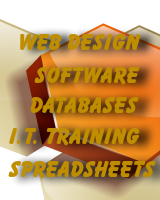 Software, Web Design and Training Solutions. The main emphasis of our business is on training and developing software solutions for Microsoft Office, typically using Microsoft Excel and Microsoft Access. We also provide services for web site design and technical authoring. Refer to the menu in the top left of this web page for examples of our work. If you are not familiar with our company and your first contact with us is online, we would be pleased to hear from you! Using our Contact page, let us know what your needs and questions are and we will be more than happy to help. We recognise your investment in Microsoft Office, Open Office or Google Drive and look forward to helping you to personalise and maximise its potential. 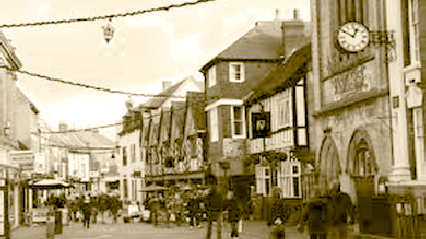 Meanwhile here is an image below of our home city of Lichfield, Staffordshire with more images on our Contact page! To view example web sites or download free copies of resource files such as spreadsheets, please click your selection in the vertical menu in the top left of this page. This site has been developed using Serif WebPlus X8. We also use several other web site development tools such as WordPress and Joomla. Visit our new WordPress 4 site. It is continuously being developed and a new theme is applied monthly. It is used primarily for our blog. This product was released in December 2014 and has been well received. It's main problem, like most wysiwyg web designers is that it does NOT produce responsive web sites. What people refer to as cookies is a new piece of privacy legislation that requires websites to obtain consent from visitors to store information on a web-connected device. To comply with EU legislation, it has been designed to protect online privacy by making consumers aware of how information about them is collected by websites and if it is to be stored.